Mustafa qualified as a Chartered Accountant from the Lahore office of Ernst & Young International and holds a Bachelor of Laws (LLB) degree. He is also a CEDR Accredited mediator- UK. He brings with him post-qualification experience that spans over a decade and is currently serving as the Chief Financial Officer (CFO) at a leading Telecom Company. Prior to this, Mustafa has held top management positions in a wide range of sectors encompassing telecom, construction and distribution organizations. Apart from extensive, cross-sector experience in accounting, finance and auditing-related matters, Mustafa has also been actively associated with driving the HR, sales, marketing, business development, supply chain, administration and legal functions. Mustafa has a keen acumen in diverse topics and has developed and imparted in-house training workshops on themes ranging from Time Management and Creative Thinking to Project Management. He is also a Competent Communicator designated by Toastmasters International, USA, and a founder member & mentor of Chartered Accountants Toastmasters Club, Lahore, which forms part of an international organization for the promotion of public speaking and leadership skills. Apart from activities related to his profession, he has deep interest and unwavering commitment to matters relating to human development. He is a founder member of Waseela Foundation, a registered charitable institution headquartered in Lahore. He has been a member of various committees at the Institute of Chartered Accountants of Pakistan. 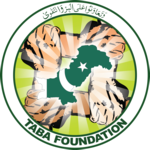 He is also serving TABA Foundation, an umbrella organization which represents more than 70 NPOs, as a part of the Capacity Building, monitoring & Evaluation Cluster.